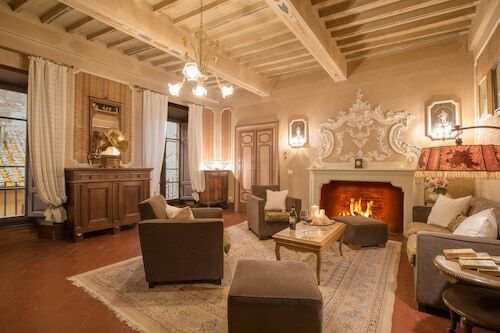 This family-friendly Montepulciano residence is located in the historical district, just steps from Val di Chiana and Torre del Pulcinella. 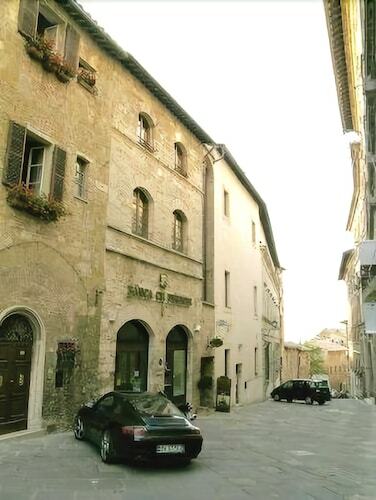 Dome of Montepulciano and Cantina Contucci are also within 5 minutes. 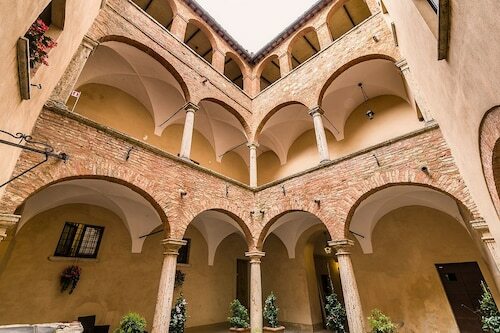 Located in the heart of Montepulciano, this apartment building is steps from Val di Chiana, Palazzo Comunale, and Consorzio del Vino Nobile di Montepulciano. Dome of Montepulciano and Piazza Grande are also within 5 minutes. The hosts were really friendly and helpful . History is alive in this little town and it’s so interesting . Rooms were excellent . Would love to return for next years barrel race ! 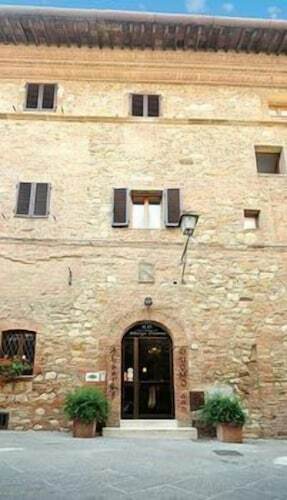 Situated in Montepulciano, this bed & breakfast is steps from Val di Chiana, Consorzio del Vino Nobile di Montepulciano, and Dome of Montepulciano. Piazza Grande and Palazzo Comunale are also within 5 minutes. 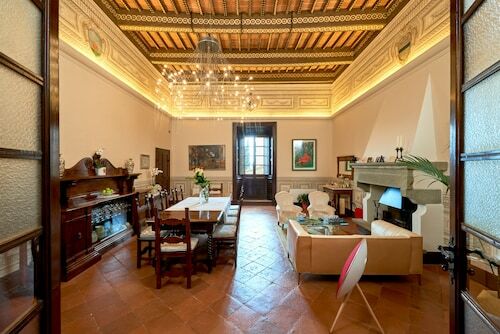 Situated in Montepulciano, this residence is steps from Val di Chiana, Palazzo Ricci, and Palazzo Comunale. 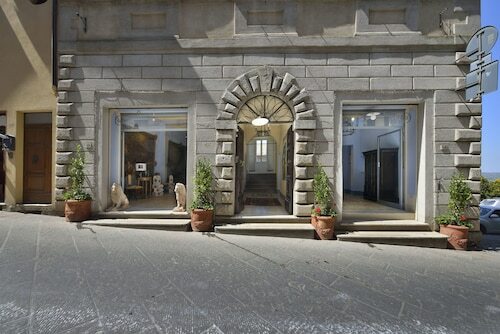 Civic Museum and Piazza Grande are also within 5 minutes. We loved our stay!! Valentina was so helpful & the breakfast was delicious. If you're searching for something interesting to experience on your travels, a trip to Dome of Montepulciano is a great choice. You'll find this attraction in Val di Chiana, 90 miles (145 kilometers) away from Rome, the nation's capital. Picking an appropriate accommodation is an important part of any vacation. 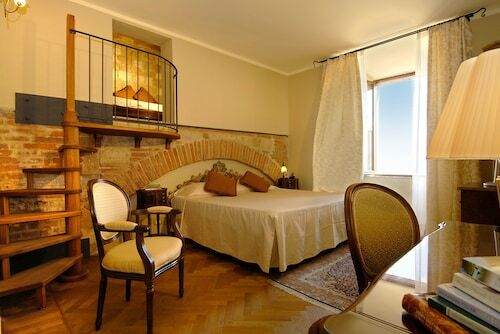 If you would rather stay in the vicinity of Dome of Montepulciano, you can find as many as 25 options to select from. A handful of places to consider are the Il Tosco, 0.1 miles (0.2 kilometers) away, the Palazzo Carletti, 0.07 miles (0.11 kilometers) away, and the Etruria Resort & Natural Spa, located just 0.7 miles (1.1 kilometer) away. You are guaranteed to get a friendly welcome and a value-for-money price tag when you check into one of the bargain hotels available. 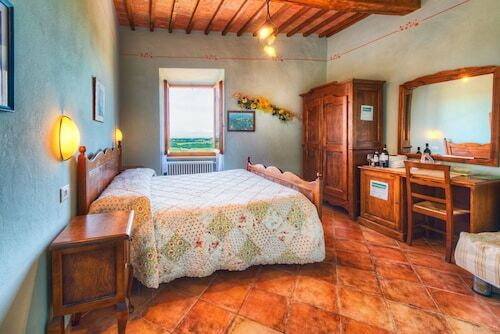 A mere 0.8 miles (1.3 kilometers) away is where you'll find the Fattoria San Martino, while you'll find the Bed & Breakfast Vicolo dell’Oste 0.1 miles (0.2 kilometers) away. Are you somebody that has sophisticated tastes? You can find a small assortment of upscale hotels conveniently situated just a short drive away. To avoid missing out, it's always wise to book well ahead of time. Try the Alexander Hotel Palme and Hotel Rotelle. In need of a caffeine hit? You can grab a coffee at Bar Gelateria Duomo, a short distance from Dome of Montepulciano. If you have an hour or two to spare and room in your stomach still, you can also treat yourself to the fine fare at Ristorante Ai Quattro Venti. Encounter a new side of the neighborhood and have a wine or beer at Opificio 16 - Vineria, also just an easy walk away. Try some of the acidic essences from this region at Consorzio del Vino Nobile di Montepulciano. Evolve your taste buds with the fragrant notes of the wines showcased at Cantina Contucci. Don't miss the opportunity to see Piazza Grande, a public square which has played a role in the social, cultural and economic life here. Appreciate the colors of the artistic creations on show at Civic Museum. If you happen to become lost at any point in your adventures, try to see Torre del Pulcinella, a significant attraction in the vicinity. 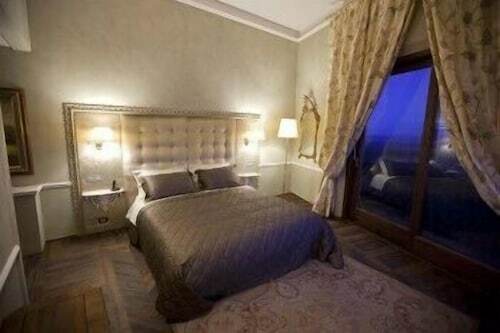 How Much is a Hotel Room in Dome of Montepulciano? 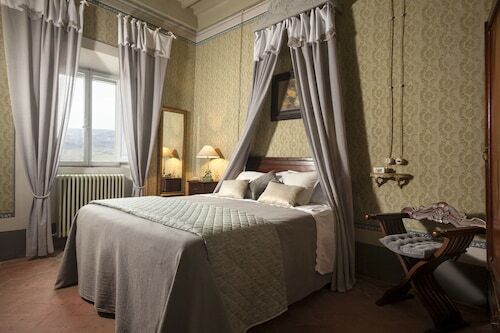 Hotels in Dome of Montepulciano start at $78 per night. Prices and availability subject to change. Additional terms may apply. 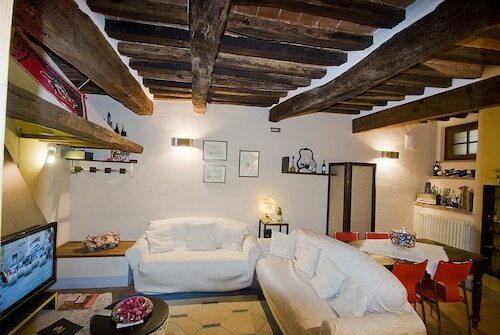 Charming And Well Decorated Apartment In The Centre Of The Town, Amazing View ! IN Town! 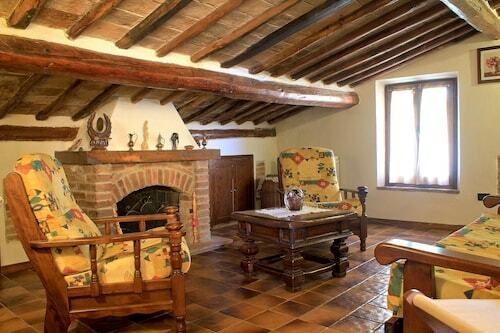 Large Terraces & Views of Vineyards & Olive Groves - Walk to Center!